Support for an international BBC channel would eventually come from overseas, Denmark and the cable TV market. The corporation’s commercial arm, BBC Enterprises was contacted by two Danish telephone companies, KTAS (Københavns Telefon Aktieselskab) and JTAS (Jydsk Telefon A/S). The companies were interested in rebroadcasting BBC 1 and BBC 2 on their cable networks in Denmark. The two channels were already rebroadcast in Belgium and the Netherlands received from coastal antennas and relayed on cable. Denmark was geographically too far away to receive terrestrial transmissions from the UK and offered to pay for satellite capacity for the BBC channels. BBC Enterprises looked into the Danish proposal, however, copyright obligations for non-BBC content was a barrier to the venture. The BBC overcame copyright issues by creating a new channel for Danish viewers, BBC TV Europe. This consisted of BBC 1 except when non-BBC content was being broadcast in the UK. 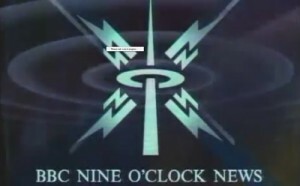 During these times, BBC 2 programming was included when possible; Newsnight was a regular news programme on the channel. The two Danish companies paid for the satellite transmission fees and acquired distribution rights for the Scandinavian region; the channel was also made available in Norway and Sweden. The channel was not commercially viable for the two Danish telephone companies and in 1989 BBC Enterprises took over the financial distribution costs for the channel and began signing a distribution agreement with other cable operators. When a programme on BBC One could not be shown on the channel for rights reasons, this would be replaced with a programme shown on BBC Two. For British expats, the channel became a lifeline, an up to date connection with home, a direct link to the UK, prior to its launch the only international service had been the BBC World Service. The channel was aimed at the emerging European cable market, the channel was encrypted using a system called Select, decoders were also available for private individuals. I can remember the local cable company wiring up my apartment block, of course, they reached my floor on a Friday and would connect my flat the following Monday. It was going to be a long weekend, or maybe not. The cable was rolled up outside my back door, I unrolled the long cable, brought it through the kitchen and in to the bedroom where my small colour TV was placed. I connected the cable and did a retune, suddenly I went from three channels to around thirty, CNN, MTV and of course BBC TV Europe! I can not remember which programme I watched first, though I did watch Newsnight for the first time since leaving the UK, and that Sunday I watched the Eastenders omnibus. It may sound strange today in a multi-channel world, way back in 1989 there was no Internet and my main source of information at the time was Newsweek. Now I could watch the BBC News, Top of the Pops and Doctor Who, along with many other programmes I had missed. For sports fans, there was Match of the day and Grandstand. It was fabulous to have Auntie back in this form for a few years, though it was not to last. 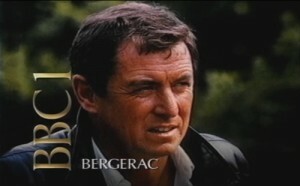 The BBC had other plans and in 1991 the channel was replaced by BBC World Service Television and by BBC Prime in 1995. Neither of these was a patch on BBC TV Europe, most of the programmes on BBC Prime were at least two years old and there was no news. It was not until 1999 that I could again receive domestic BBC TV from Sky using a Solus card and a mini dish. Can you help? The Astra 2 website is searching for information and images of BBC TV Europe, if you have any information or images, please mail the site.